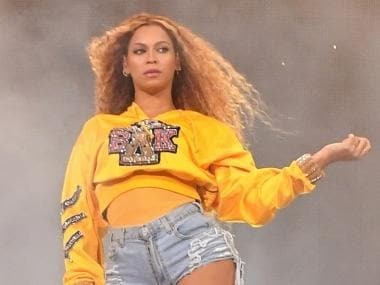 A cryptic teaser released by Netflix for a new project dubbed Homecoming has many fans suspecting it could be a new documentary based on Beyonce's unforgettable 2018 Coachella performance. The streaming giant tweeted a graphic reading “Homecoming” against a yellow backdrop with a release date of 17 April. 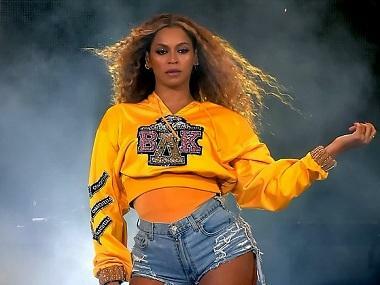 The yellow in teaser released by Netflix resembles same shade of yellow as Beyonce's sweater from the performance, with Greek letters and the same font from the merchandise sold during her performance. It didn’t take long for fans to notice this colour scheme and that the font matches Beyoncé’s Coachella branding and merch from 2018. Also, the 17 April release date would fittingly fall nearly one year after Bey’s acclaimed “Beychella” set, which was inspired by the HBCU homecoming weekend experience. Netflix didn’t release any further details about the project except for the release date. But, last week's report on Us Weekly stated that the singer was working on a concert documentary with Netflix and that the said project would feature her entire headlining performance live-streamed along with previously never before seen footage. While there hasn’t been any official confirmation as of yet, fans are already celebrating their excitement over the prospect of a Beyoncé Netflix special.